Published on 01. 08. 2014 in commentary and criticism, hype & linkage and pictorial arts. Closed Tags: Arte Veneta, Giovanni Bellini, Statens Museum for Kunst, Titian. And they keep coming… although this is probably the last one in a while. Part of my core research as a fellow at Statens Museum for Kunst in Copenhagen centred on the early Titian portrait of an elderly man (above), which is on long loan to the gallery from Ny Carlsberg Glyptotek. That the sitter might just be his teacher, the great painter Giovanni Bellini, doesn’t make this sensitive portrait less interesting. 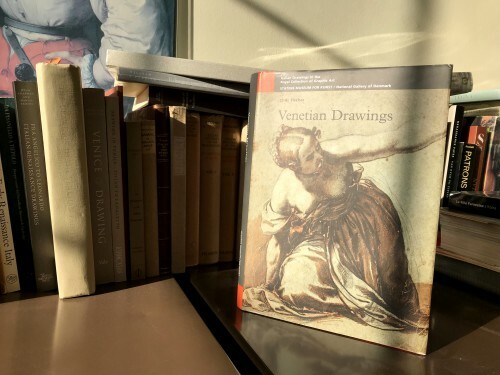 The results of my research, and — crucially — that of restorer Troels Filtenborg, are now published (in Italian) for all to see in the storied journal Arte Veneta, published by the Fondazione Giorgio Cini in Venice. The article provides a thorough examination of the Portrait of a Man by Titian in the collection of Ny Carlsberg Glyptotek, on permanent loan to Statens Museum for Kunst, Copenhagen. Its provenance is laid out in unprecedented detail. A thorough technical examination reveals that the portrait was painted on top of another, cancelled one, showing a figure dressed in a red garment. It further reveals that the landscape view at left was added to what was originally a plain background. The painting’s attribution to Titian, which has been occasionally disputed, is considered and affirmed with reference to the technical evidence as well as comparable works in his oeuvre. This also provides a likely date of completion around 1512. Lastly, it is proposed that the first, overpainted sitter may have been the Venetian senator Andrea Loredan di Nicolò, for whom Titian worked his early years. 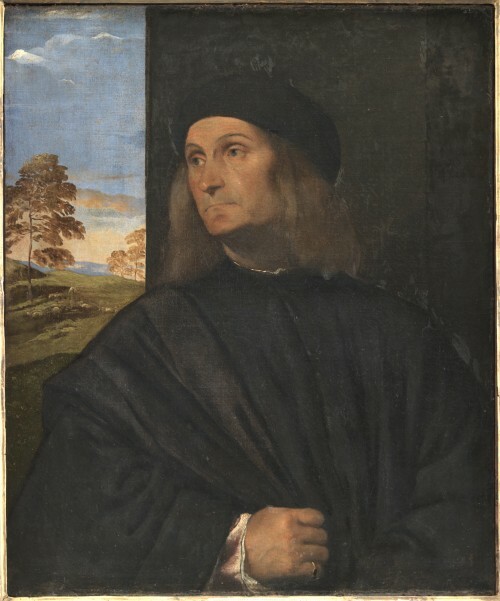 As for the person portrayed in the finished picture, the long-standing if controversial hypothesis that he may be the painter Giovanni Bellini is discussed. While this identification impossible to affirm conclusively, the authors consider the arguments in favour sufficiently strong that it should not be dismissed. The volume can be acquired directly from The Fondazione Cini, as well as from Mondadori. Or any self-respecting art library, I should think, for those understandably reluctant to fork out the big bucks.